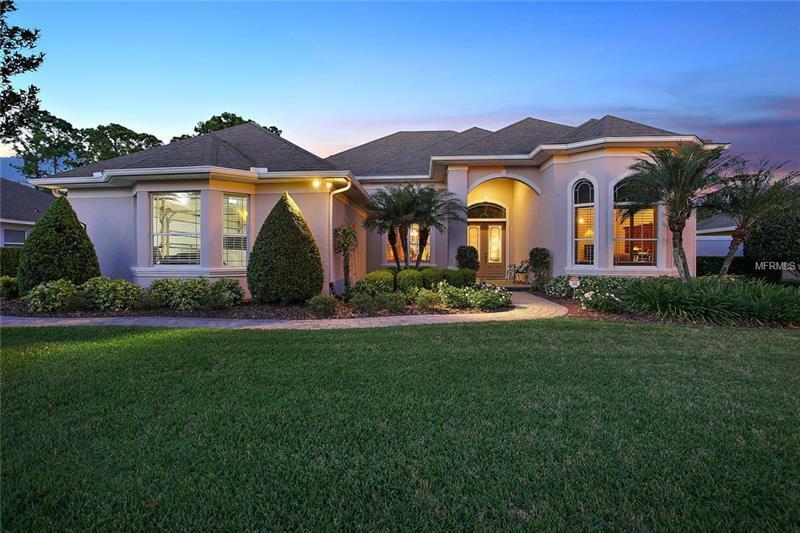 J. CHRISTOPHER CUSTOM 3/3 LOCH LEVEN HOME WITH 3-CAR GARAGE, OFFICE, AND FL ROOM. 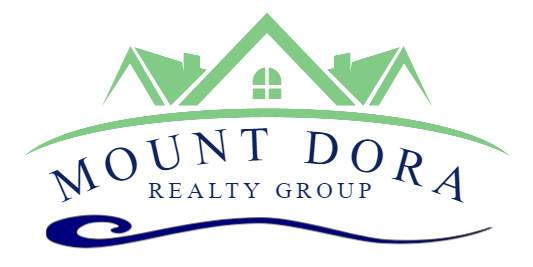 Welcome home to this sought-after, centrally located, gated community in charming Mt. Dora. Beautiful one-owner home pristinely maintained and upgraded. Garage doors and (2) HVAC replaced 2015. Manicured .44 acre lawn with paver walkway and paver drive to side-entry 3-car garage. Inside is a light-filled, split floor plan with soaring 14 FT ceilings, regal wood-trimmed columns, gorgeous hardwood flooring throughout, 16 IN crown molding, 6 IN baseboards and Plantation shutters. Living room with pond views. Formal dining with wainscoting and tray ceiling. 12x19 private office. Updated kitchen with exquisite wood cabinetry, granite counters, tumbled stone backsplash, Elkay sink, Moen faucet, breakfast bar, wood-paneled 48 IN flush-mount refrigerator, Best brand hood vent, induction cooktop, Bosch convection microwave, oven, and dishwasher. Walk-in pantry and dining nook. Family room with pond views, built-ins and gas fireplace. 15x28 master suite with tray ceiling, built-ins, custom walk-in closets, FL room access and bath with newer Quartz counters and Kohler toilets (in all baths), dual sinks, garden tub, walk-in shower. 15x15 guest BR with private bath. BR 3 shares the full hall bath. Laundry room with storage. 22x35 garage with sink/storage and floored attic. 21x25 FL room with tile floors, ductless Mitsubishi HVAC and electric window blinds. Back yard sun patio with views of the pond and protected green space.